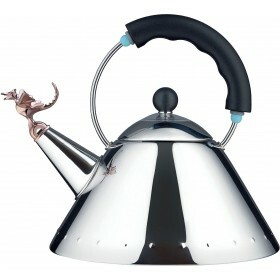 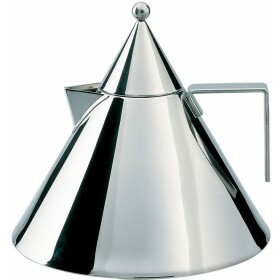 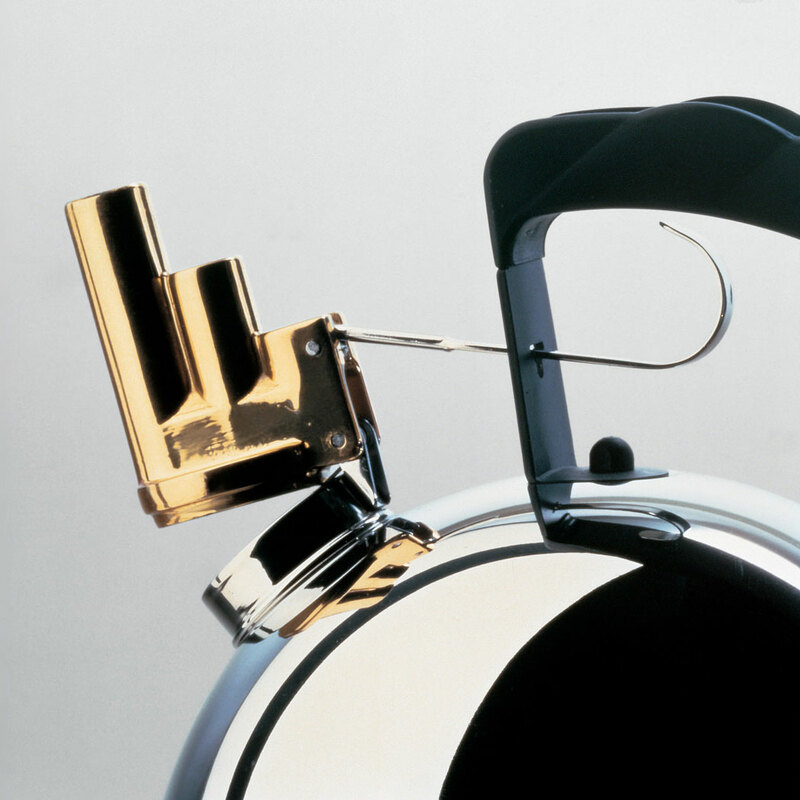 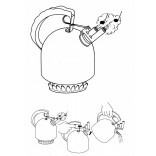 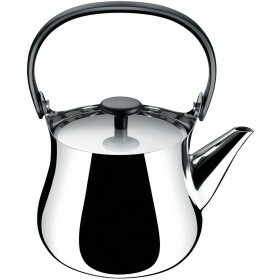 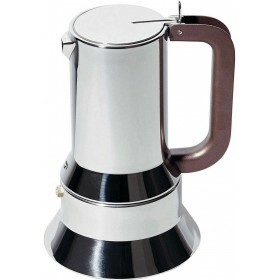 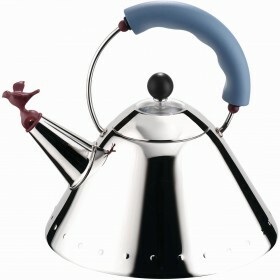 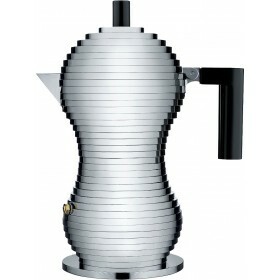 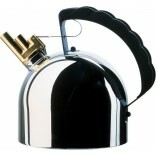 Stove-top kettle in 18/10 mirror polished stainless steel. 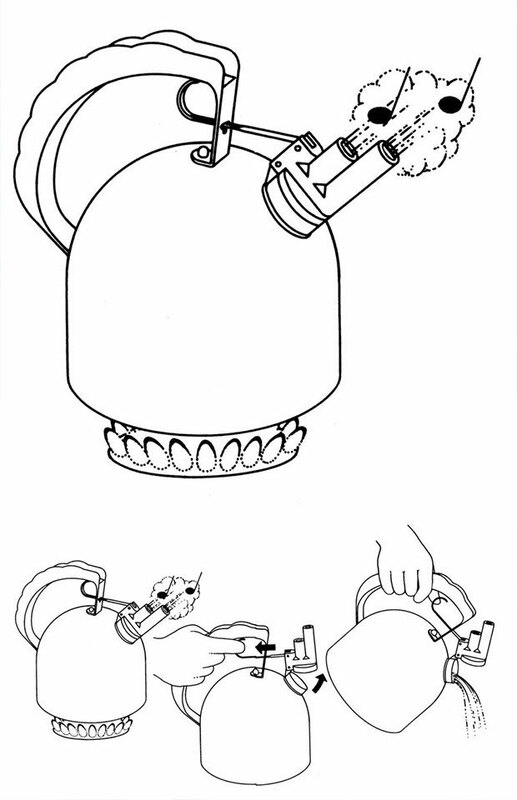 Brass whistle with 2 pipes that sing a melody when boiling. 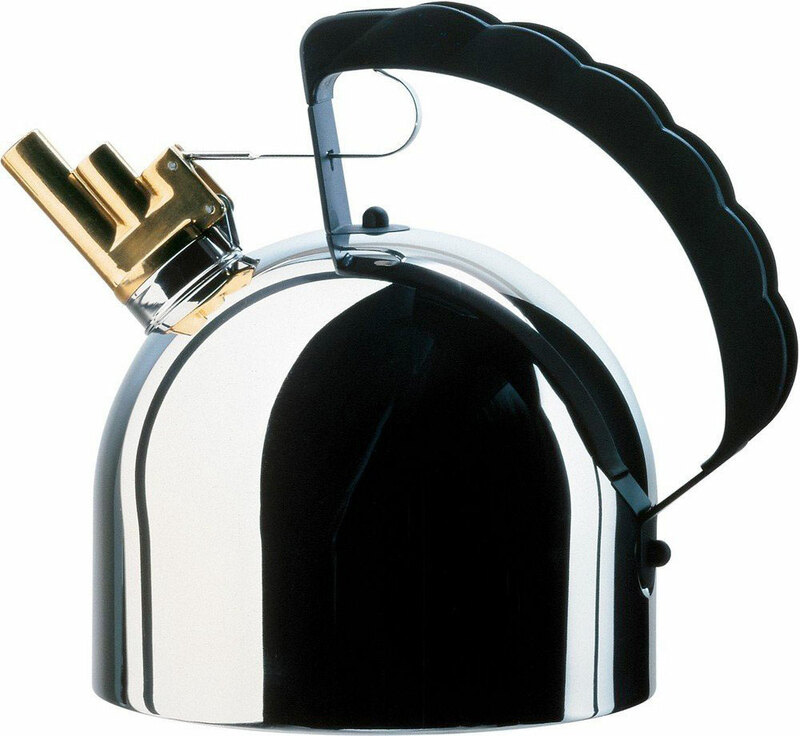 Magnetic steel heat diffusing bottom.